A-HOTEL.com - Halpa ja Hotellihuoneen Spring City, Yhdysvallat. Majoituksen varaus Spring City ja ympäröivä. Tätä ohjeellista tarjous on peräisin viimeksi varattu majoitus Spring City ja lajitellaan alimmasta hinnasta. Voit valita majoitus mieleisesi suosittelemme valita yhteensä 1 tarjoaa majoitusta Spring City. Syöttämällä haluamanne päivämäärät Spring City ja käyttäen suodatin työkaluja voit lajitella parhaan mahdollisen majoituksen sinulle.Tuli haluamanne päivämäärät ovat ratkaisevia tarkin tarjouksen, koska se saa kaikki verkossa tietoa hinnoittelusta ja majoituksen saatavuus. Sitten voit varata valitun Spring City majoitus (hotellit, jne.) heti. Offering free Wi-Fi, this bed and breakfast is 4.2 from Horseshoe Mountain. NephiCity Airport is less than 10 minutes’ drive from this motel. An indoor hot tub and seasonal pool are available. Located off Interstate-15, this hotel is a 4-minute drive from downtown Nephi, Utah. It features spacious rooms with free Wi-Fi and serves a daily continental breakfast. This Nephi, Utah motel is located near Mount Nebo in the Uinta National Forest. The motel offers a heated outdoor pool, free continental breakfast and free Wi-Fi. Near the Little Sahara Sand Dunes and just off the I-15 motorway, this Nephi, Utah hotel features a free daily breakfast as well as comfortable guestrooms with free wireless internet access. The Best Western Paradise Inn provides a variety of thoughtful amenities, including an indoor swimming pool and on-site fitness facilities. 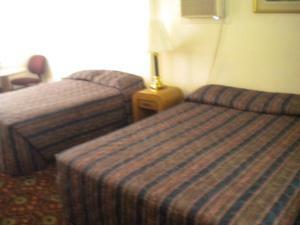 Located off Interstate 15, this Nephi, Utah hotel offers classically furnished rooms with free Wi-Fi and a cable TV. It features an indoor pool and Canyon Hills Golf Course is 1. Located in Nephi, Utah, just 2 miles from Mount Nebo Loop, this motel offers a seasonal outdoor pool. All guest accommodations include free Wi-Fi. Situated in Gunnison, Gunnison Inn features barbecue facilities and a garden. All rooms boast a TV with cable channels and a private bathroom. Offering an indoor pool and a hot tub, Holiday Inn Express Hotel & Suites Price is 5 minutes’ drive from Utah State University Eastern. Free WiFi access is available. Offering free shuttle service within a 5-mile (8 km) radius and free wireless internet access, this hotel in Price, Utah is only minutes from The College of Eastern Utah Prehistoric Museum. A free hot breakfast is served daily. An indoor pool and hot tub is available at this motel. Rooms feature cable TV and free Wi-Fi. Located just 7 miles from Nine Mile Canyon Entrance, this Price motel offers free Wi-Fi and an expansive continental breakfast. All guest rooms include a microwave and small fridge. Just off of Highway 6, this Price motel offers a full continental breakfast featuring waffles, Danishes and fruit. Free Wi-Fi is included in all rooms. Set in Helper, Perfect for Travelers! offers accommodation with a patio and free WiFi. This bed and breakfast provides a garden. Offering free Wi-Fi, this motel is 10 minutes’ walk from the historic ATV friendly centre of Helper, Utah. Each room features a cable TV with satellite channels. Quality Inn Price is set in Price and has a spa and wellness centre and a shared lounge. This 3-star hotel offers free WiFi. Featuring free WiFi and a restaurant, Greenwell Inn offers accommodation in Price. Guests can enjoy the on-site bar. Featuring water sports facilities, a fitness centre, and a spa and wellness centre, The Tuscany provides accommodation in Payson with free WiFi and mountain views. Guests benefit from a balcony and a terrace. Travelodge by Wyndham Salina is offering accommodation in Salina. Guests can enjoy mountain views.